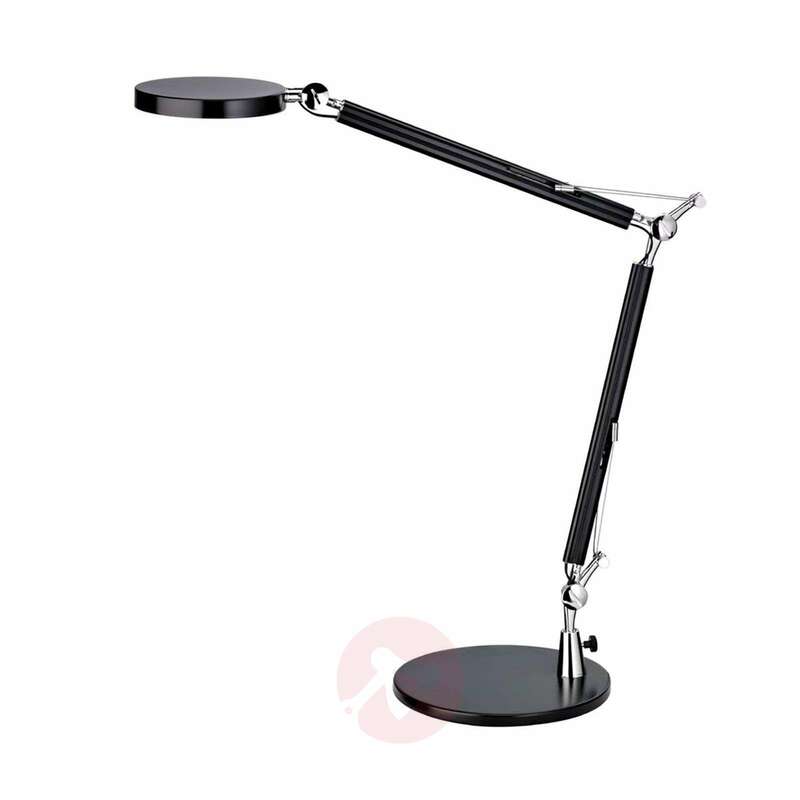 The desk lamp Helen has a round base and lamp head, it is flexible and adjustable thanks to three joints with a mounting mechanism and it is energy-saving. The workplace lamp can produce a light output of 350 lumens and a lighting intensity of 2000 lux at a distance of 35 cm. The average lifespan is approximately 30,000 operating hours. Whether on a desk or in a living space - it illuminates every workplace brightly.